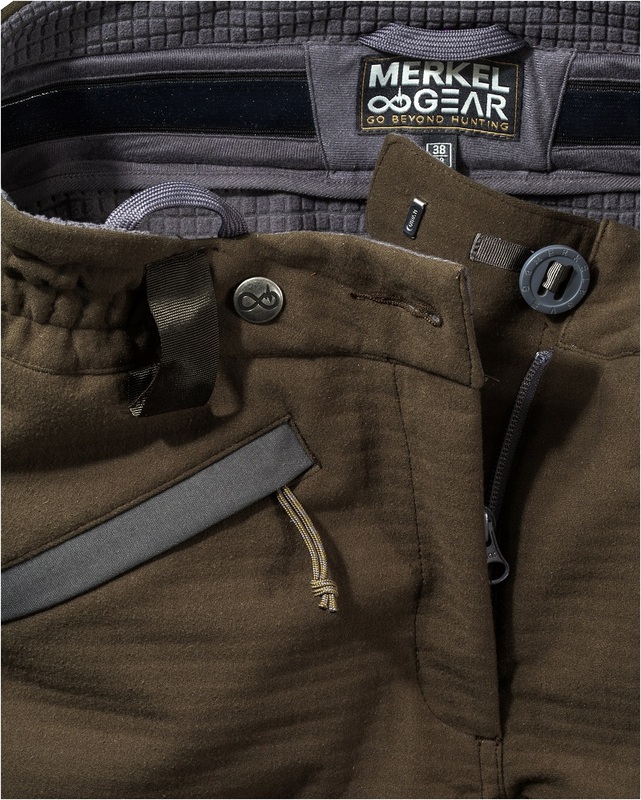 The Palaearctic WNTR Trousers 37.5® are by far the warmest trousers from MerkelGEAR. 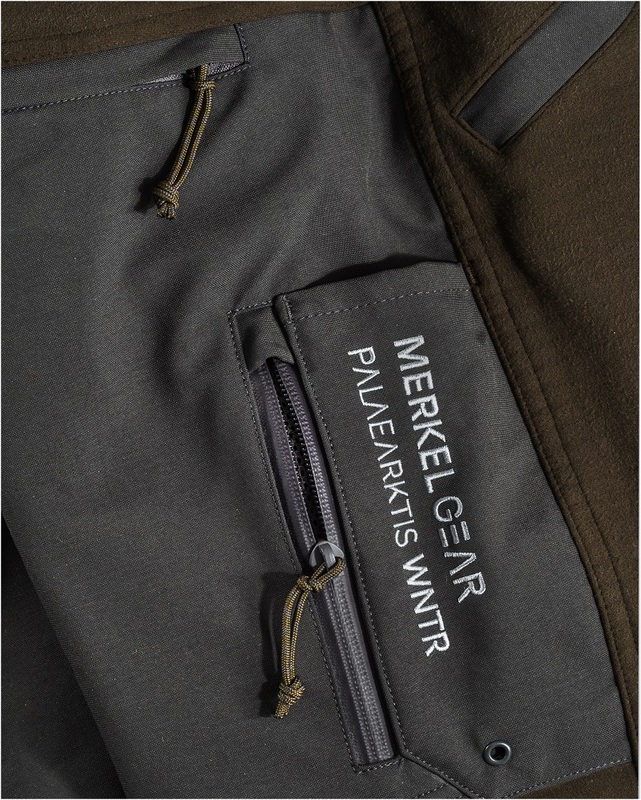 Thanks to the 3-layer laminate developed especially for MerkelGEAR (much more robust than trousers insulated with loose lining), these trousers are hard to beat in terms of durability, performance and longevity, and will keep you comfortably warm in the winter. 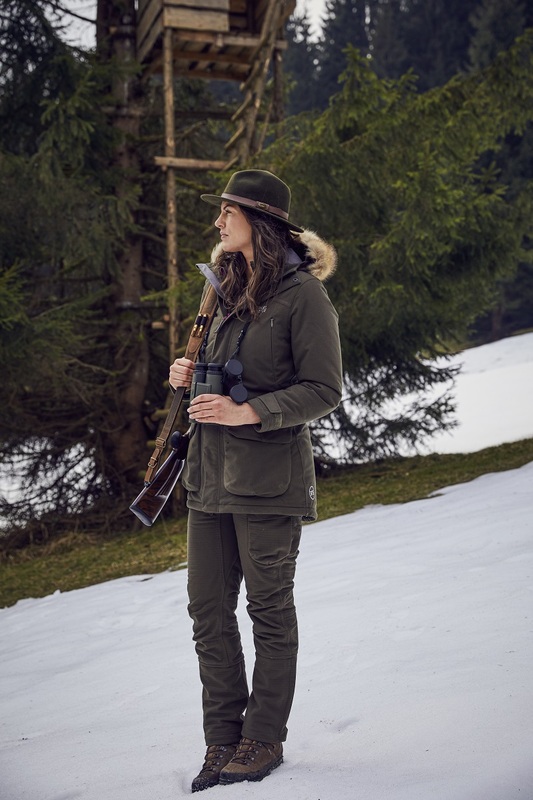 The branded Cocona 37.5® membrane technology makes the Palaearctic WNTR trousers one of the most breathable winter trousers ever. Conventional Z-liner trousers usually have a membrane loosely hung between the outer fabric and the lining, which regularly sticks to the legs during strenuous activities. These trousers, however, have olive-coloured brushed jersey on the outside that absorbs all the noise, while the strong 37.5® membrane (20,000mm/ 20,000g/m²) keeps moisture out and offers unsurpassed breathability. The coarse textured waffle fleece on the inside traps body heat in its large air chambers and quickly transfers excess energy along these drainage channels away from the body when needed. The proven MaxComfort waistband protects the kidneys from cooling down and feels like second skin. Additional silicone facings and stretch inserts keep the merino underwear in place and provide a significant extra layer of clothing. At the front of the waistband, the trousers are closed by a large loop button and a highly stable hook button from the German manufacturer Gutos. In addition, the waistband has a strong D-ring for the inclusion of e.g. rangefinders. Soft hooks on the interior waistband are suitable for MerkelGEAR braces. The trousers have 5 pockets with high-quality #5 YKK zip fastenings, which aren’t equipped with loud metal parts, but instead have a solid, noiseless cord or a quiet, semi-automatic puller. 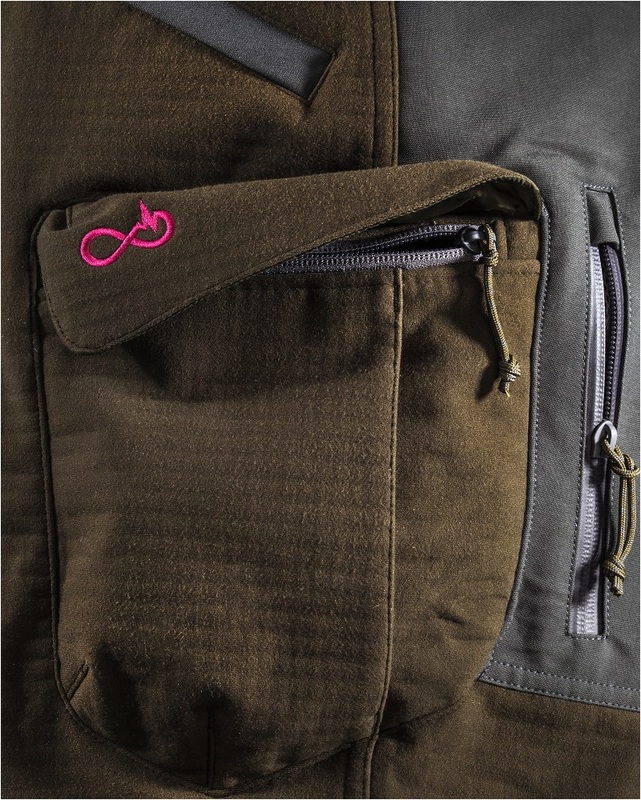 A single back pocket, two side hand-warmer pockets with soft fleece pocket pouches, a large cargo pocket and a waterproof smartphone pocket. 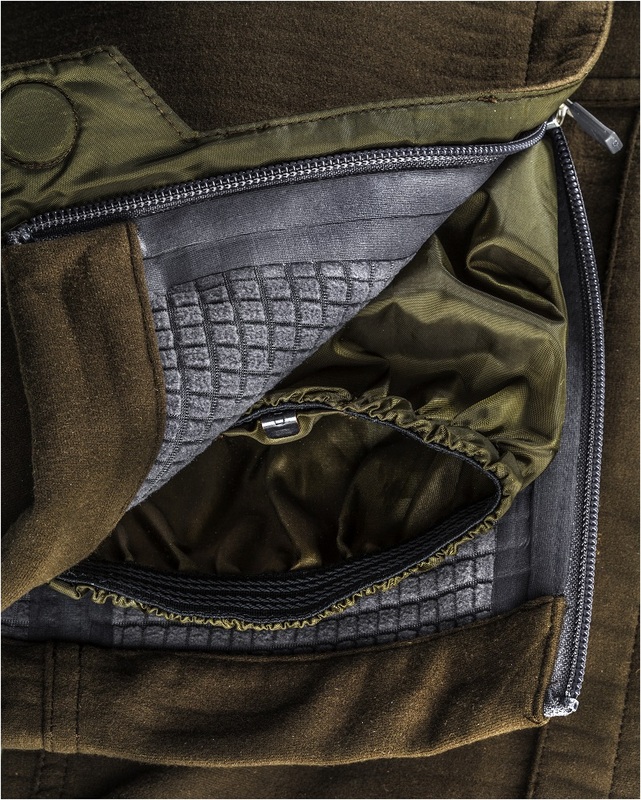 YKK’s large, waterproof ventilation zips at the level of the extra-strong nylon facing at the rear allow air circulation. The lower part of the legs can be opened with long zips. Waterproof snow gaiters on the inside, which have a non-slip coating and a strong gaiter hook, offer a snug fit. The zips of the gaiters are covered by a wide flap, which closes automatically by means of two extra-large magnets directly on the hem. From 2018 there will be a highly innovative women’s winter parka that matches the Merkel GEAR Palaearctic WNTR Trousers 37.5®.